SPA CLUB AT BEACH ROAD rewards the busy executives on the go - SPA CLUB EXPRESS offers luxury treatments within 30 minutes. EXPRESS TREATS make the energy of ila and Aromatherapy Associates more accessible than ever. Combining untainted natural products with ancient yogic techniques and energy work, they bring exceptional inner and outer benefits – from a renewed sense of wellbeing to radiant skin that glows with vitality. All in just 30 minutes. 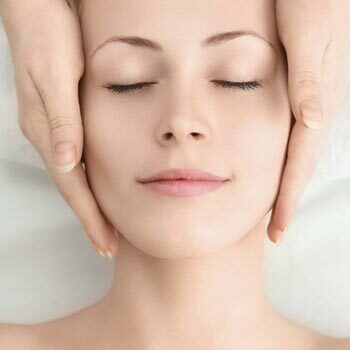 Specialised massage techniques improve micro-circulation and drainage, helping to reduce puffiness, whilst the natural plant extracts and oils work to leave the eyes fresh, bright and youthful. Using a unique blend of jasmine, patchouli and cardamom, this Tibetan-style massage combines gentle cupping and kneading to stimulate the flow of energy along the spine and strengthen the nervous system. An intensive massage that focusses on the back, neck and shoulders, to instantly release pain and tension. This energising full-body scrub targets cellulite, stress and exhaustion. Drawing on the ionising properties of Himalayan Salt Crystals, it stimulates circulation and toxin elimination, uplifting mind, body and spirits. Using the healing properties of Himalayan Salt Crystals. This soothing all-over scrub restores and relaxes the nervous system, leaving skin glowing and the body infused with a sense of enhanced wellbeing. A relaxing all over exfoliation and layering of richly nourishing products, to leave the skin looking radiant and feeling wonderfully smooth. Specialised massage techniques ease swollen legs and ankles, leaving you feeling refreshed and energised. A relaxing and energising treat for flawless feet, comprising a lemongrass and vetivert scrub to smooth, marma massage and foot mask to stimulate, and vital energy cream to soften. A combination of deeply restorative and nourishing essential oils are combined to leave hands and arms looking perfectly conditioned and feeling deeply moisturised.